Hammad Nasar is a curator, writer, and Head of Research and Programmes at Asia Art Archive (AAA), Hong Kong. He has been appointed to curate the UAE’s national pavilion at the 57th Venice Art Biennale (2017). 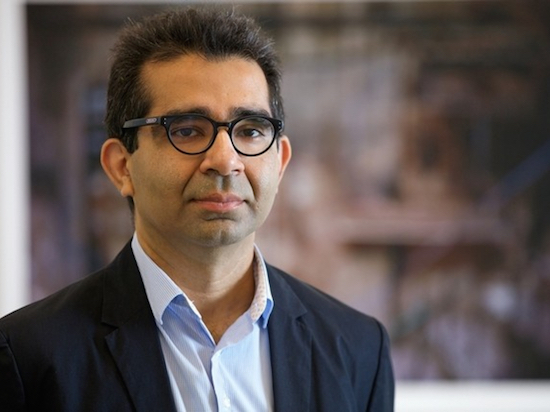 Formerly based in London, Nasar co-founded the non-profit arts organisation Green Cardamom, and curated or co-curated numerous exhibitions, including: Lines of Control: Partition as a Productive Space at Johnson Museum, Cornell University & Nasher Museum, Duke University (2012-13); Drawn from Life at Abbot Hall, Kendal (2011); Beyond the Page: The Miniature as Attitude in Contemporary Art from Pakistan at Manchester Art Gallery & Pacific Asia Museum, Pasadena (2006-10); Where Three Dreams Cross: 150 Years of Photography from India, Pakistan and Bangladesh at Whitechapel Gallery, London (2010); Safavids Revisited at British Museum, London (2009); Who are you? Where are you really from? at Whitworth Gallery, Manchester (2006); and Karkhana: A Contemporary Collaboration at Aldrich Contemporary Art Museum, Ridgefield, CT and Asian Art Museum, San Francisco (2005-7). At AAA he has developed a number of research initiatives with institutional collaborators including the Museum of Modern Art (NY), the Hong Kong Museum of Art, the University of Hong Kong, the University of Sydney, the Paul Mellon Centre for Studies in British Art (London), the Clark Art Institute (Williamstown, MA), and the American Institute of Pakistan Studies. He serves on the Editorial Board of Tate’s magazine, Tate etc; is a jury member for the V&A Museum’s Jameel Prize, and Art Basel’s crowdfunding partnership with Kickstarter to support non-profits; and plays an advisory role for a number of arts organisations internationally, including Delfina Foundation (UK), Alserkal Avenue (UAE) and Lahore Biennial Foundation (Pakistan).